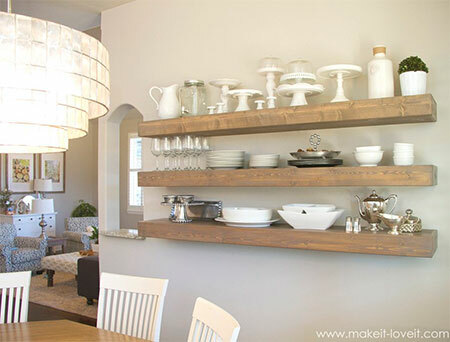 I found instructions to make these easy chunky floating shelves on make it – love it. The measurements and materials have been modified to allow for our local materials here in South Africa – all of which you will be able to source at any Builders Warehouse store or timber merchant countrywide. 1. 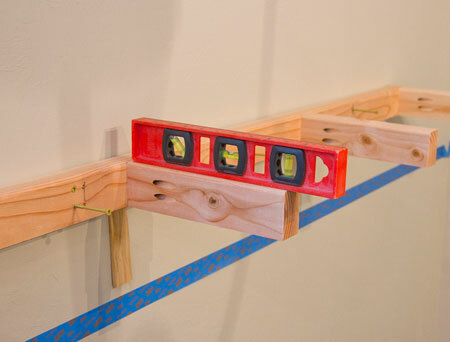 Mark the wall where you want to mark the shelves – using a spirit level to make sure it’s absolutely level. Mark the location with strips of masking tape. 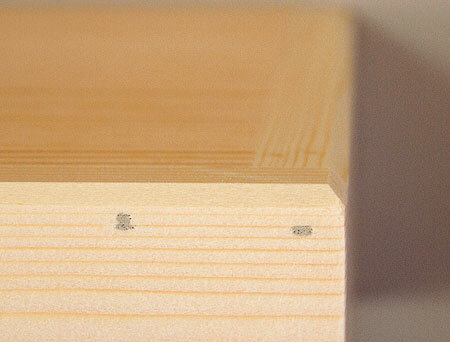 GOOD TO KNOW: PAR pine comes in lengths of 1800mm and 2400mm, which is ideal for longer shelves. 2. Make up the support frame to the desired length using the 32 x 94mm pine. The arms are 270mm in length and secured onto the wall supports with wood glue and 60mm screws. 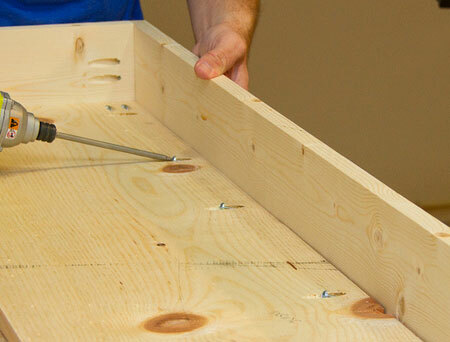 Make sure to countersink the screws at the back and space the arms equally along the length. GOOD TO KNOW: Check the thickness of your pine before you assemble and mount. Make any adjustments to allow for differences in thickness. The measurements on this page are for 22mm thick pine, but sometimes pine can be anywhere between 19mm to 22mm. 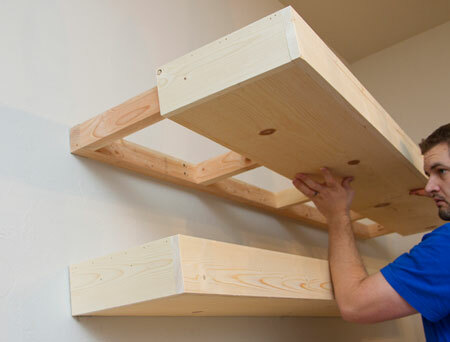 You want the assembled box shelves to slip easily over the support frame. 3. 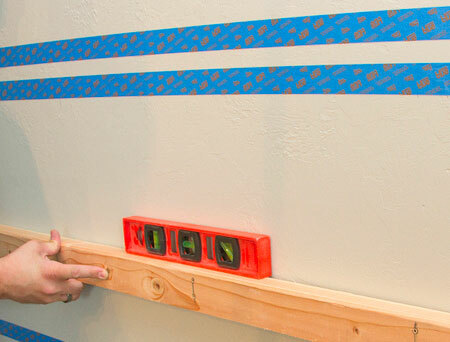 Use the masking tape line as a guide, fasten the support frame onto the wall with  wall plugs and screws along the length. For secure installation only use nylon wall plugs (fischer or Rawlplug). Drive a single screw into the wall plug and check for level before continuing. Mount all your support frames in the same way. 4. To make up the box shelves. 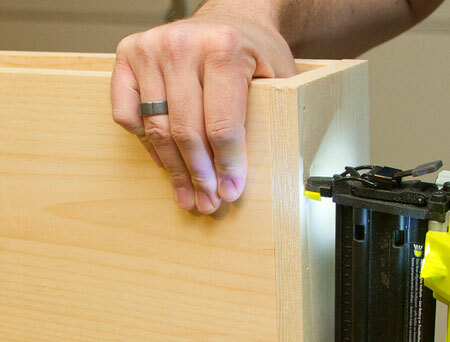 drill pocket holes in the shelf top – along the one edge to attach the front panel, and at the ends to attach the sides. Also drill a pocket hole at one end of each side piece for securing the front panel in place. 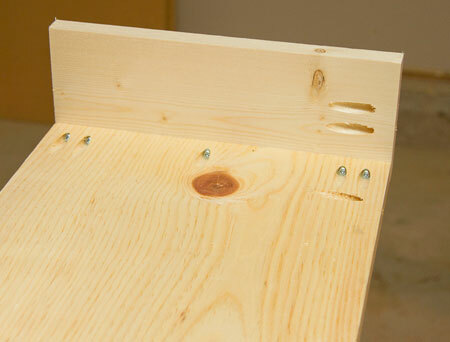 Use wood glue and 25mm screws to join the sides to the top, as shown below. 5. Use wood glue and 25mm screws to attach the front panel, as shown below. 6. To attach the base for the box shelf use wood glue and a pneumatic nailer OR a hammer and panel pins. 7. Test fit the box shelves onto the frame before sanding everything nice and smooth for finishing. Once you have done all the finishing, fit the shelves in place and drive a screw in on both sides to secure the box to the support frame. 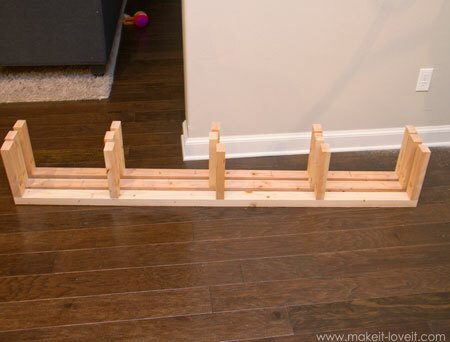 Ashley used a router to give the edges of the shelf a slight angle, or you can chamfer the edges with a sander. 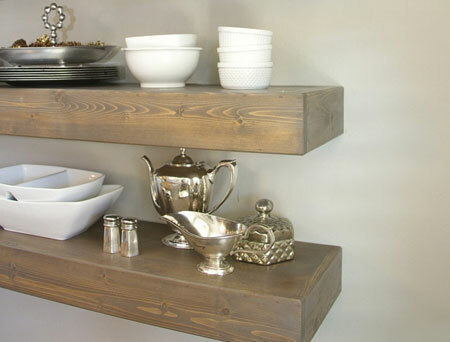 To get the look of the shelves shown here, make your own wood stain and water this down until you achieve the faded grey colour, which can then be sealed with lime wax or you can apply a whitewash for an even lighter effect. 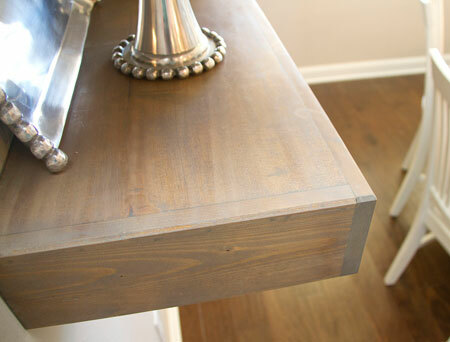 After applying a whitewash or stain, apply a sealer or varnish.